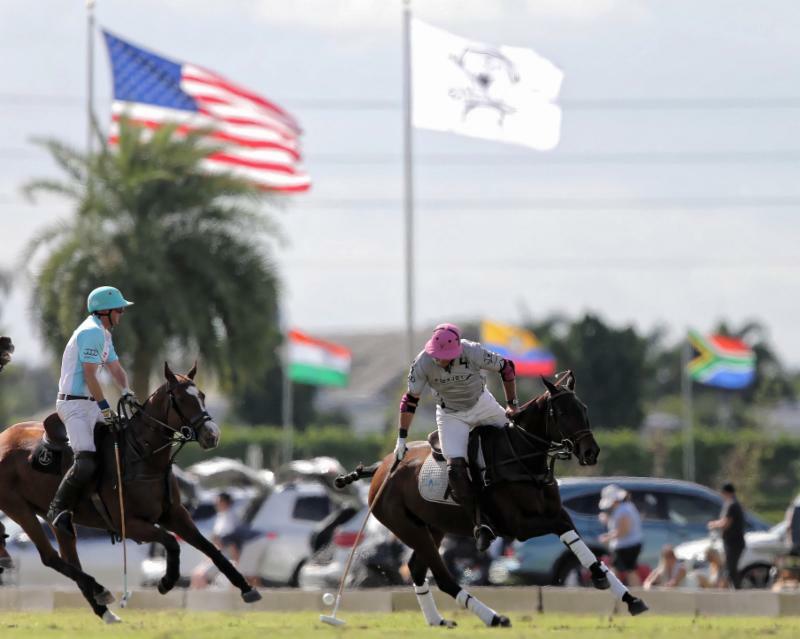 WELLINGTON, Fla., November 19, 2018----Casablanca defended its title in the USPA National 20-Goal Tournament Sunday at windswept Grand Champions Polo Club. USPA National 20-Goal champion Casablanca's Julio Gracida, Pablo Spinacci, Grant Ganzi and Whistle Uys with awards presenter USPA CEO Bob Puetz. In a tightly-contested game, Casablanca (Grant Ganzi, 2, Whistle Uys, 4, Julio Gracida, 4, Pablo Spinacci, 6) defeated Flexjet (Melissa Ganzi, 0, Jason Crowder, 6, Jeff Blake, 6, Juan Bollini, 5), 11-9. In a repeat of last year's final, Casablanca broke open a close game in the sixth chukker, outscoring Flexjet, 3-1, to clinch the victory. Pablo Spinacci, 41, was named Most Valuable Player. Playing from the back, Spinacci was the defensive leader and also scored three goals including a penalty conversion. He finished with seven goals for the tournament. "I am very happy with the game and that we won," Spinacci said. "It was good game. I liked our team, they were easy to play with." Jeff Blake of Flexjet drives downfield with teammate Jason Crowder. Said Grant Ganzi, "I have never played with Pablo before, a lot against him. He is a great player. He hit the ball really well today. He was a good drill sergeant for our team and led us well. I thought he was the best choice for MVP. He was the leader of our team, scored the goals when it mattered and put the ball where it needed to be at the most important part of the game. He was the most solid player on the team, no question." 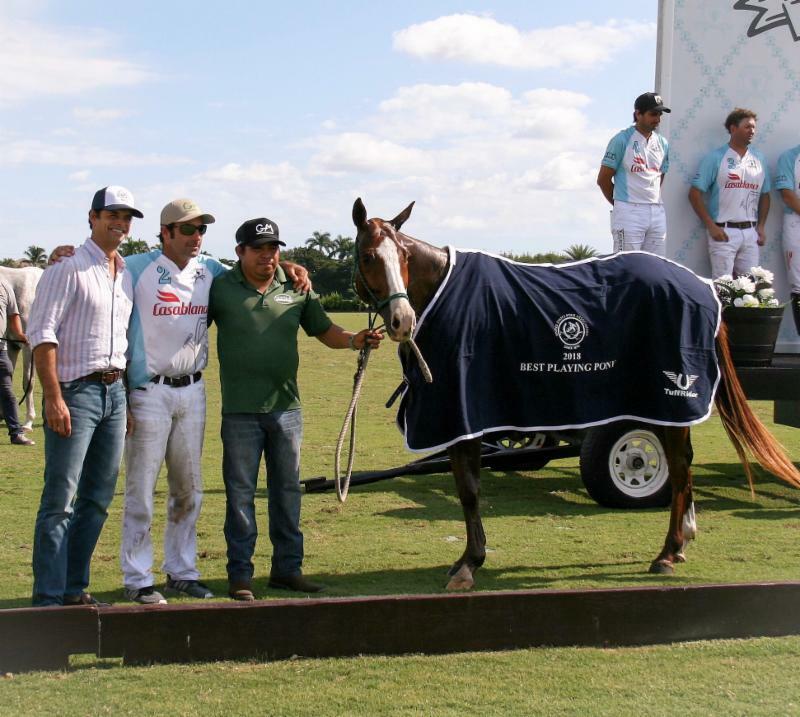 Bliss, a 5-year-old mare bred and owned by Santa Rita Polo Farm, played by Spinacci, was named the game's Best Playing Pony. Tornado, a 7-year-old chestnut gelding played by Uys and owned by Franklin, Tenn.-based Graymar Farm, was Best Playing Pony for the two-day tournament. 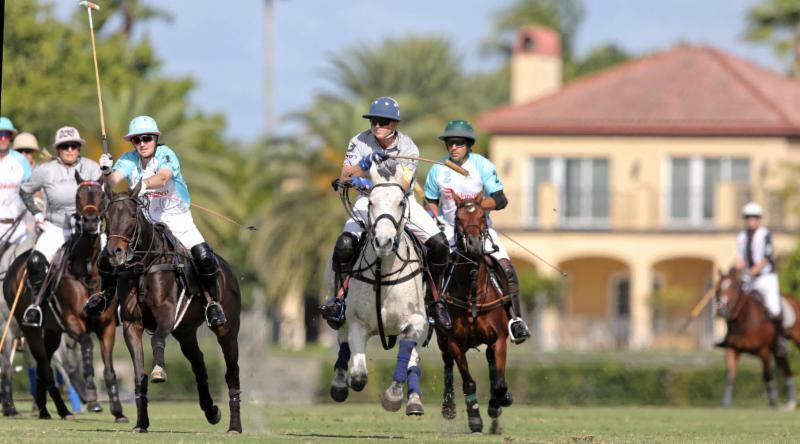 Grant Ganzi of Casablanca races Jeff Blake of Flexjet for the ball. Cupid, a 7-year-old grey gelding owned and played by Julio Gracida, was selected the American Polo Horse Association Best Playing Pony. In addition to Spinacci's three goals, Grant Ganzi scored a team-high four goals and Uys added three goals. For Flexjet, Blake scored a game-high six goals. Melissa Ganzi, Crowder and Bollini each had one goal. Whistle Uys of Casablanca hits the reverse neck shot. "I'm really happy with the win, we played really well," Grant Ganzi said. "We came out strong. We had our moments where we lost our men. All in all we played pretty well and were very disciplined. We had a pretty good game plan set and didn't really alter that." As defending champion, the pressure was on Casablanca to repeat. "I tried not to think about it," Ganzi said. "I just tried to think about this game. I didn't want to think about defending the title." 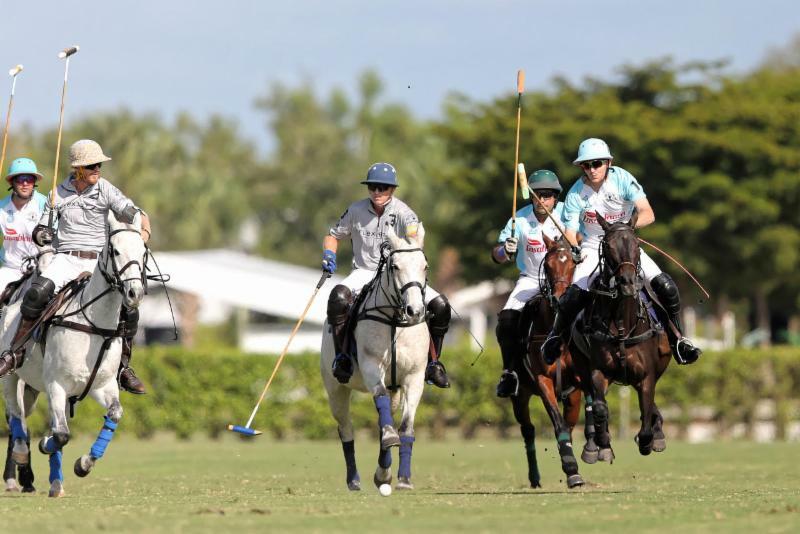 Playing together for the first time in the tournament, Casablanca opened with a one-goal lead on handicap and built a 3-1 lead after two chukkers outscoring Flexjet, 2-1 and 1-0. Behind Blake's three goals, Flexjet outscored Casablanca, 3-1, to even the score at 4-4 at the half. 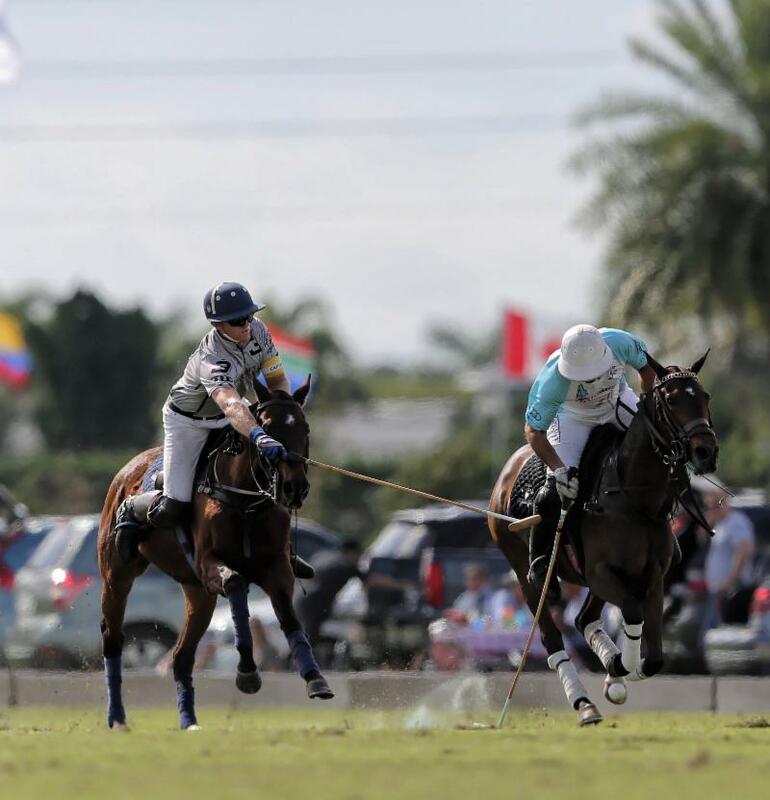 Juan Bollini of Flexjet works the ball away from Julio Gracida of Casablanca. 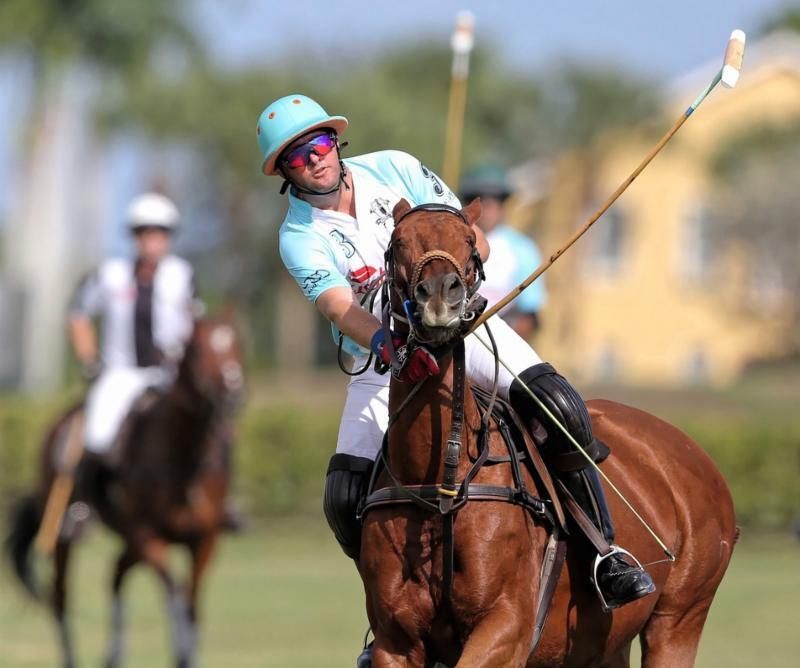 Behind Spinacci's two goals and another goal from Ganzi, Casablanca regained the lead, 7-6, at the end of the fourth chukker. 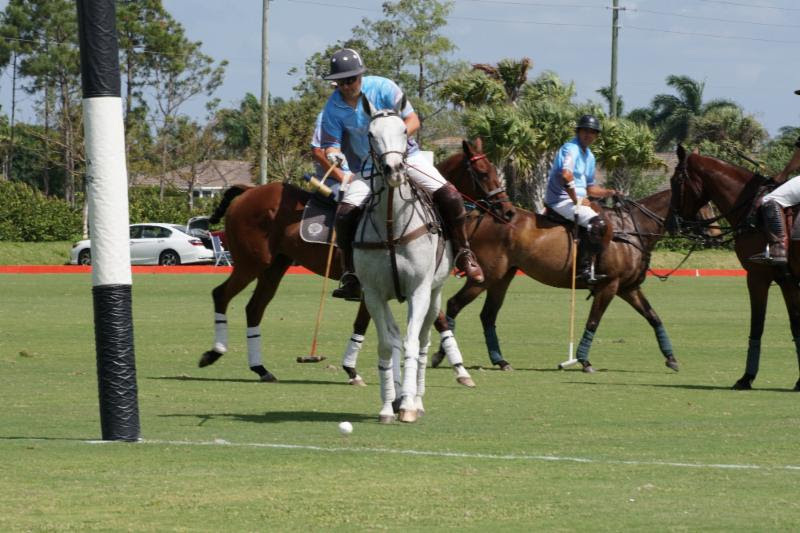 Spinacci scored with 28 seconds left in the chukker. Flexjet bounced back to outscore Casablanca, 2-1, with goals from Crowder and Blake to take an 8-7 lead before another Grant Ganzi goal scored at the 2:15 mark tied the game, 8-8. Jeff Blake of Flexjet hooks Pablo Spinacci of Casablanca. "I am very happy with the win," Uys said. "I enjoyed it. It was a game that got a little heated and we got to play some good polo. It was fun. "We wanted to win the 20-goal," Uys said. "My teammates were great and the guys we played against were great. They all played well. "I am super happy with the season. The fields were good. The footing was incredible. The horses got confidence and finished well. I was really happy with that." 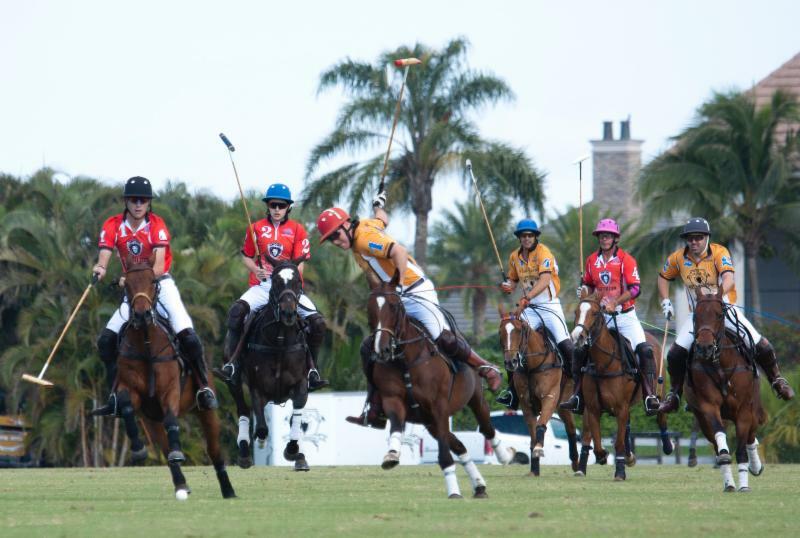 In Friday's qualifiers, Flexjet defeated Travieso, 12-8, and Casablanca edged Audi, 10-9. Julio Gracida of Casablanca hits the neck shot down field. In last year's National 20-Goal, Casablanca, one of the winningest teams in club history, won the title. 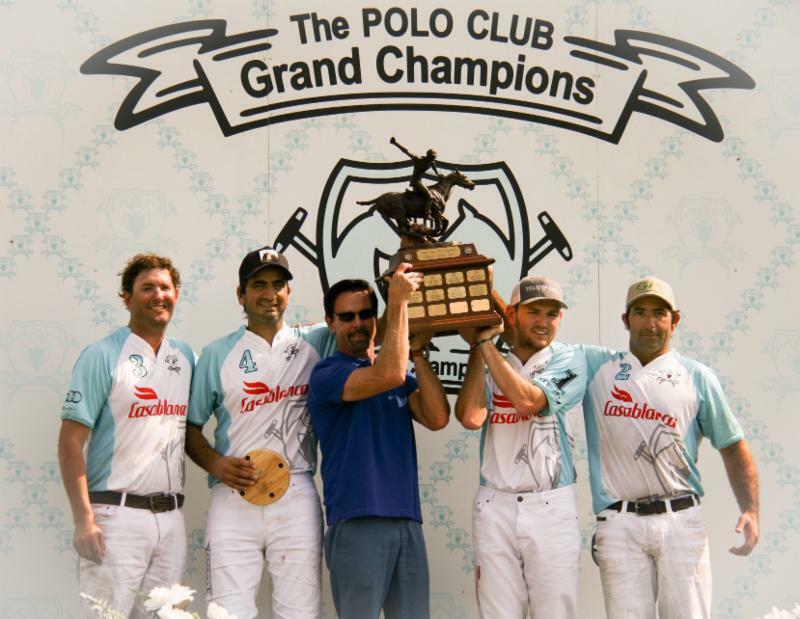 The talented foursome of Grant Ganzi, Juancito Bollini, Mike Azzaro and MVP Jeff Blake defeated defending champion Flexjet (Melissa Ganzi, Jason Crowder, Pablo Dorignac, Juan Bollini), 13-6, to sweep the fall 20-goal tournaments. Tournament Best Playing Pony Tornado, a 7-year-old chestnut gelding played by Uys and owned by Graymar Farm. 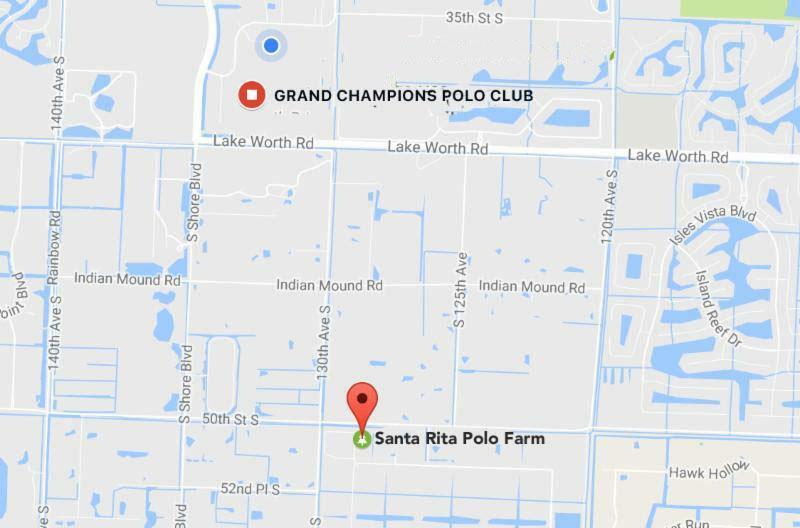 Grand Champions is one of the few USPA-sanctioned clubs that offers fall polo and two 20-goal tournaments. The fall season has been a good tuneup for the winter season for players and green horses. 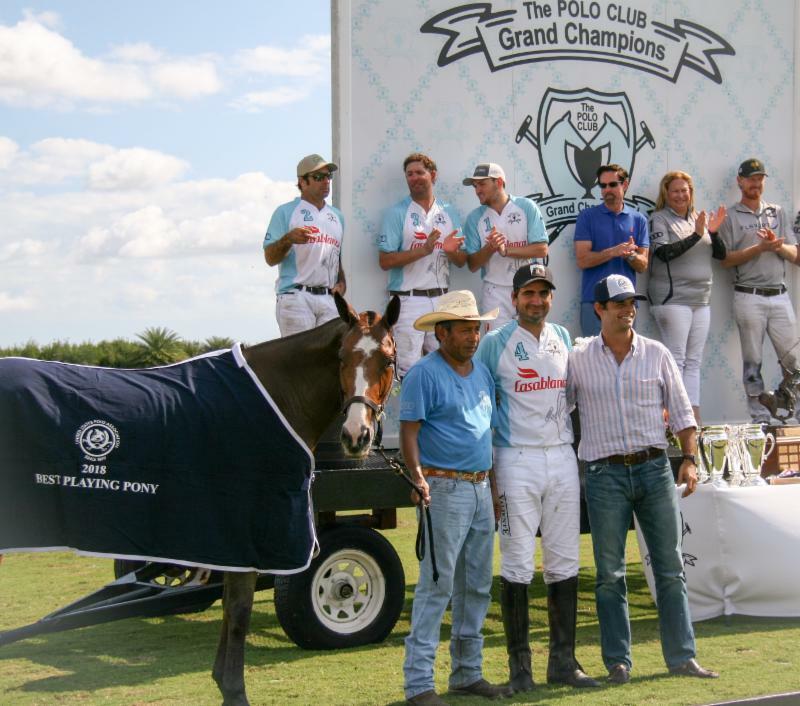 The winter season will feature the debut of the highly-anticipated 26-goal World Polo League at Grand Champions and Valiente Polo Farm featuring 10-goalers Adolfo Cambiaso, Pablo MacDonough, Pelon Sterling and Juan Martin Nero. Game Best Playing Pony, Bliss, a 5-year-old mare played by Pablo Spinacci. 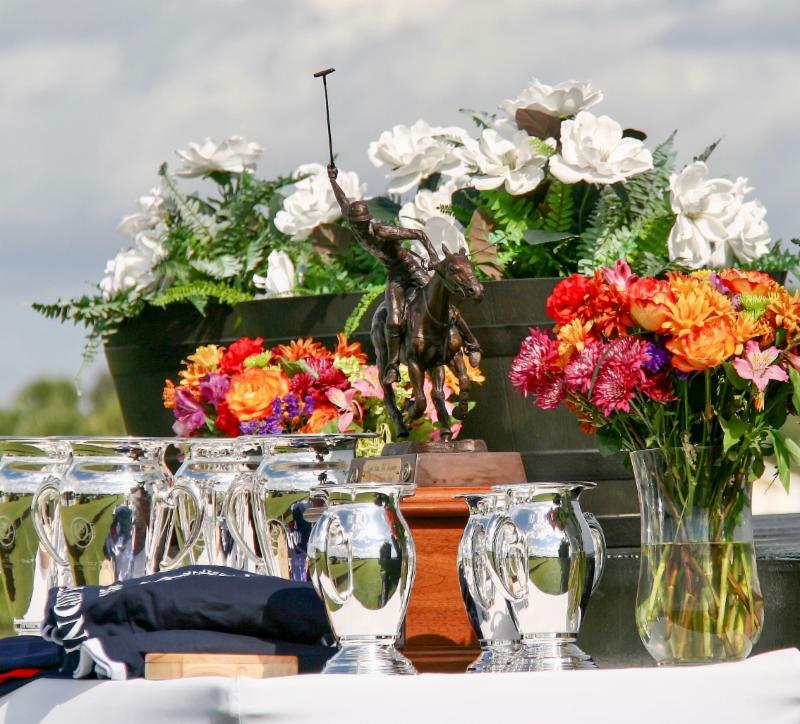 The fall season ends this weekend with the Nov. 24 Carlos Gracida Legends of Polo Memorial and International Cup, featuring defending champion Team USA against Azerbaijan. 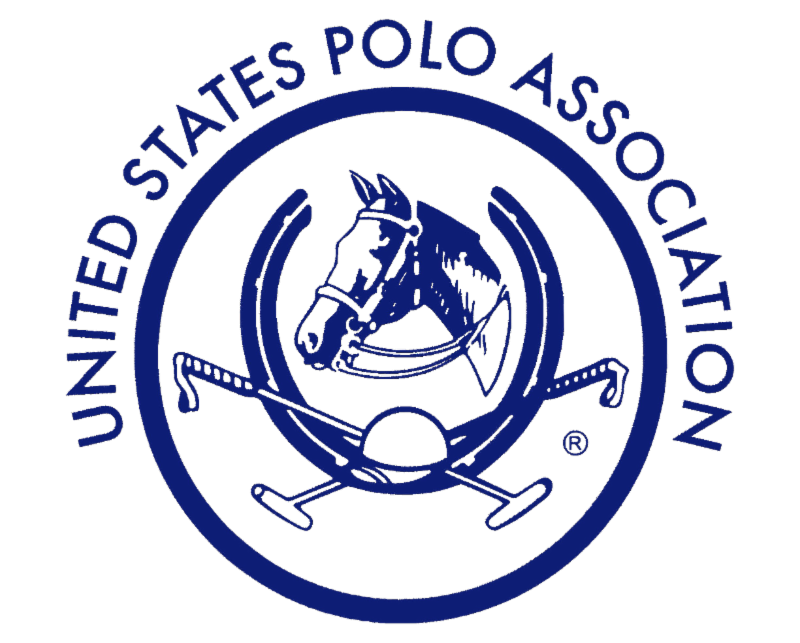 This year the U.S. team will put its six-year winning streak on the line against Azerbaijan, known as the Land of Fire and Ice, and one of the most improved polo teams in the world. Recently, Azerbaijan finished runner-up to Italy in the FIP European Championship. 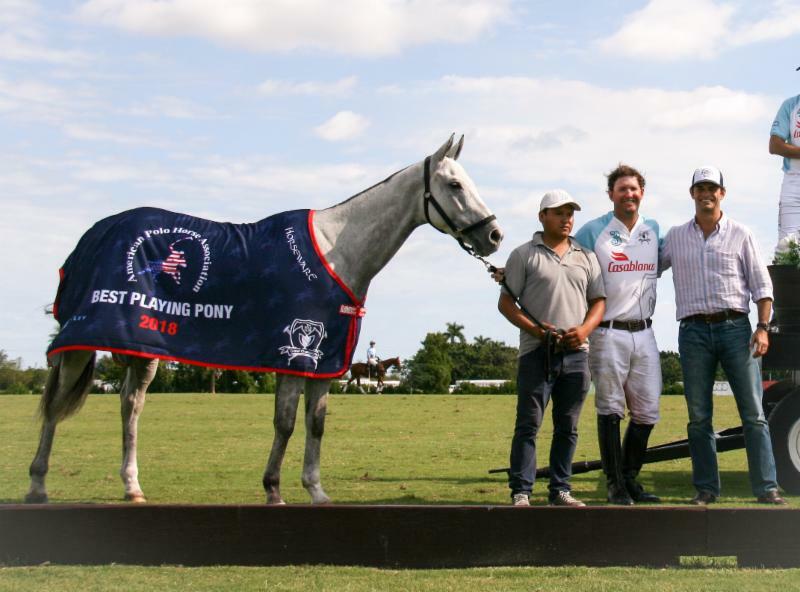 American Polo Horse Association Best Playing Pony Cupid, a 7-year-old grey gelding owned and played by Julio Gracida. 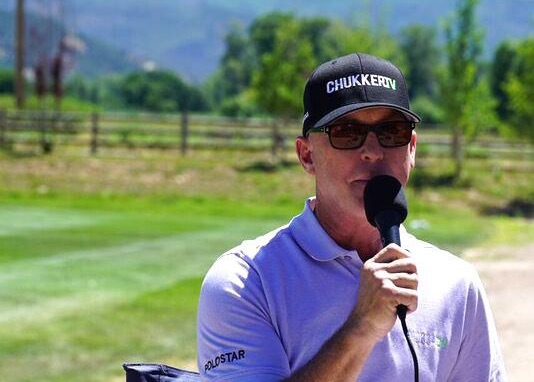 Wellington-based ChukkerTV is live streaming the fall season. ChukkerTV's state-of-the art technology also features team challenges and instant replay which made their debut at Grand Champions in January, 2014. Awards table for USPA National 20-Goal Tournament.